The film "Marti, the eye of the canary", by moviemaker Fernando Perez, will have its world premiere next Tuesday in this city, at the inauguration of the XVII National Workshop on Film Critic. Rafael Rey and Raul Perez Ureta, the films producer and photography director, respectively, confirmed their presence in the premiere, to be held at night time at the Guerrero Hall. 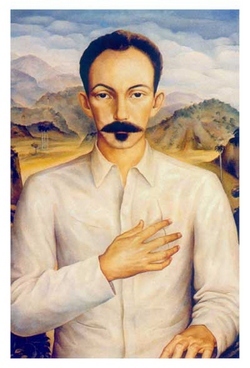 The piece addresses the life of the Cuban National Hero, José Martí, from the time he was 9 until he was 17. Scheduled to run till the 21, the meeting will also include the premiere of "Molina Ferozz," with the attendance of its director, Jorge Molina, and the two main stars, Roberto Perdomo and Dayana Legrí. The agenda focuses the discussion sessions on the fiftieth anniversary of the Cinematheque of Cuba, and as for the visual footprint in the country of creative women and new directors. Book presentations, a workshop on moviemaking and exhibition are also among the activities of the event, which will have permanent headquarters in Camaguey.